The full beard has always been a fashion statement that shows off your determination, patience and sense of responsibility. It illustrates how much time and effort you’ve spent on the look. 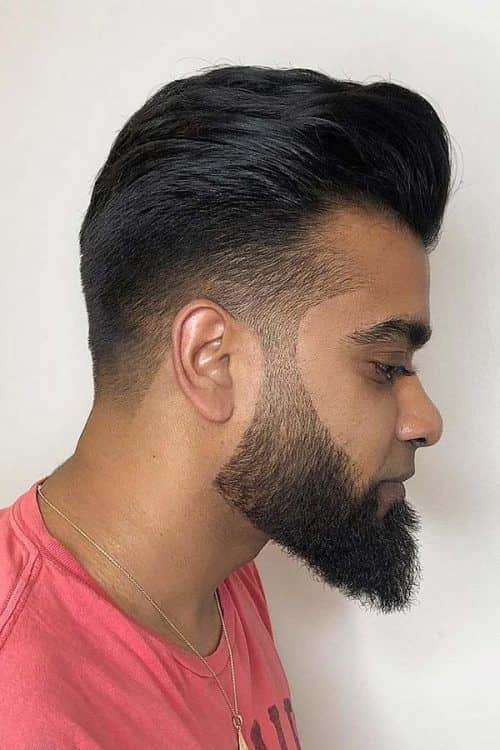 To pull it off successfully, pair your beard style with the right haircut. No need to go and seek ideas though. You can draw some inspiration from our guide, mate. Growing a full beard requires a lot of diligence and commitment. Although this process may seem exhausting, it’s definitely worth the effort. Luxuriant facial hair can become a perfect embellishment for almost any hairstyle. So, let’s immerse into the bearded world. There are many different types of beards and each of them usually has several subtypes. The full beard is no exception. It has so many different varieties that everyone can find a style to match. In simple terms, a full beard happens when the facial hair covers the chin, jaw, cheeks and lip. 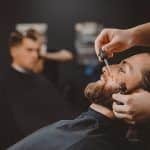 No matter whether you’re planning on a short or long full beard, our only advice on how to grow a beard would be to suspend shaving for a couple of weeks. This will give you the canvas for your future beard style. How to trim a beard fully depends on the style you choose. 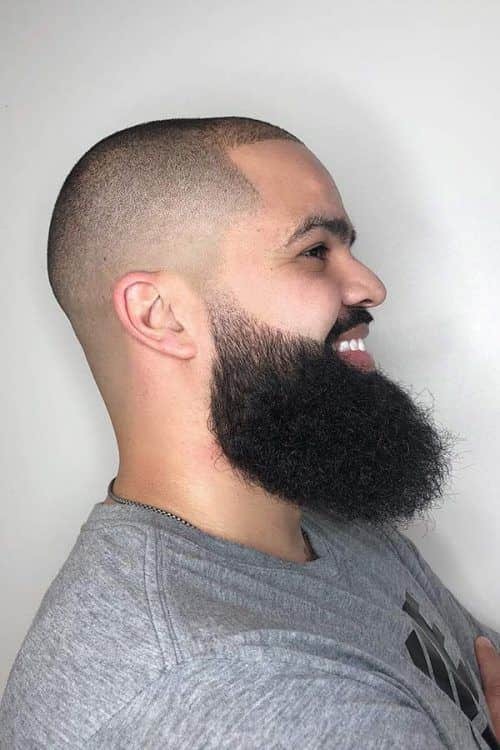 Full beard styles vary in length and shape, can be faded or shaved. The options are endless. So, first, decide on the style and only then start trimming and shaping. 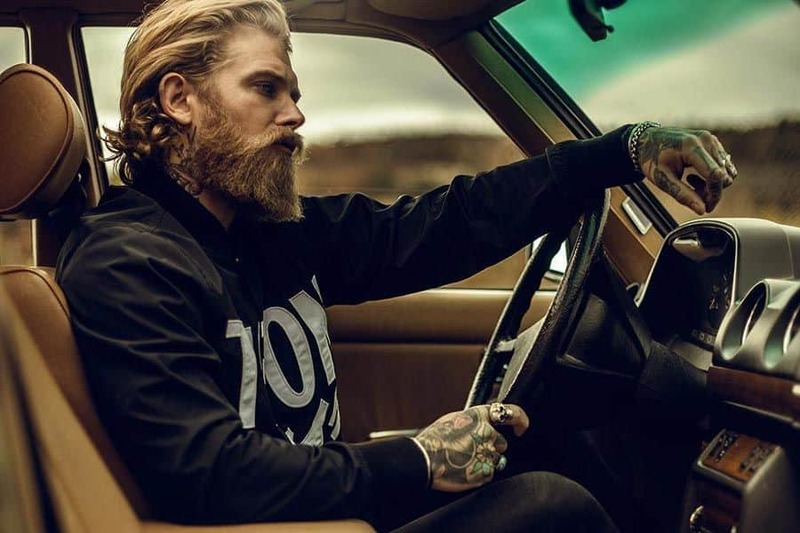 A full beard is so self-sufficient that when sported, becomes the central element of the whole look. However, with the right hairstyle, you can bring it to the whole new level. So, let’s not blow our chance to look our best. 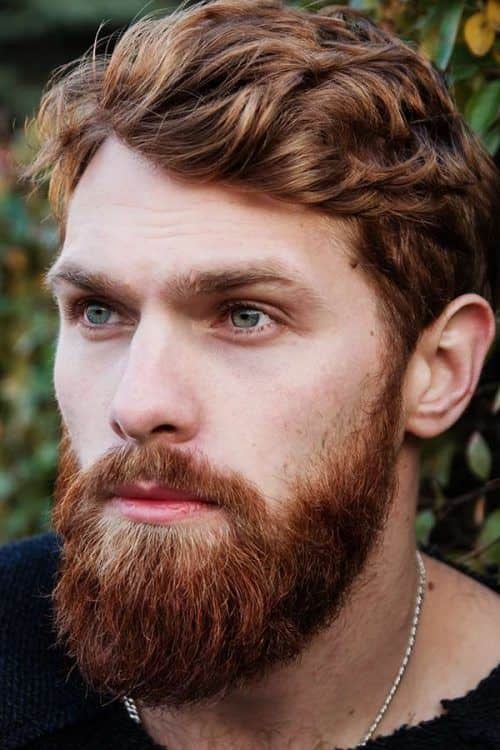 If you gravitate to a long full beard, keep in mind that it visually elongates the face. Thus, our first beard grooming tip would be: keep the look balanced. 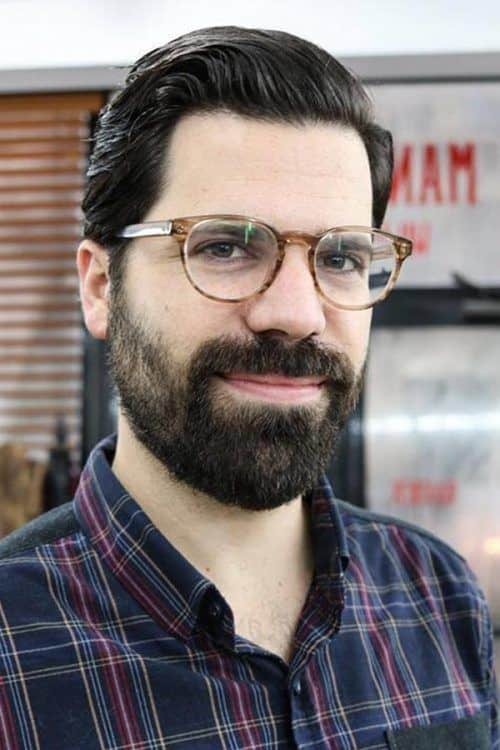 The longer the beard is, the shorter the hair on the head should be. And, the other way around. 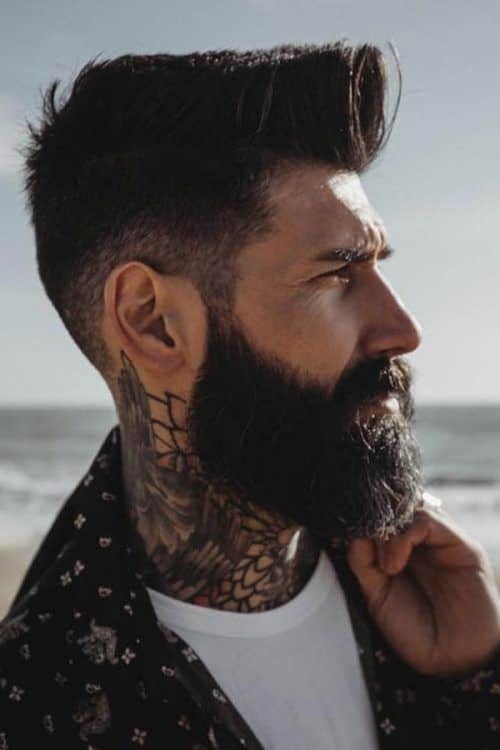 Short hair men should opt for longer beard styles. 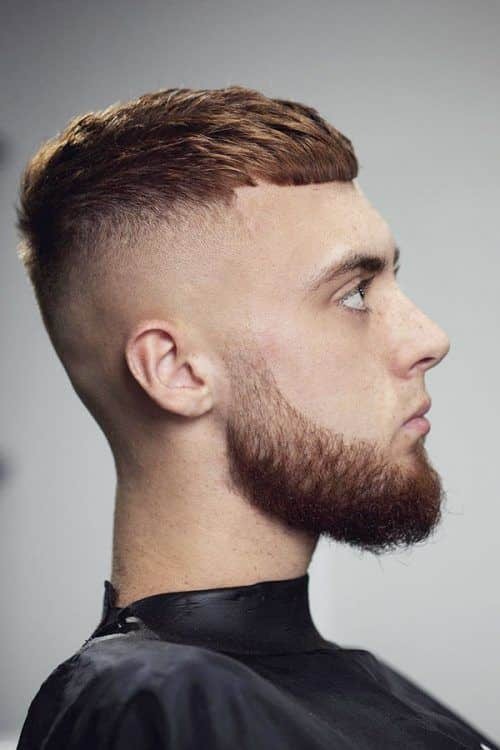 The prime example of this rule in action is the bald fade teamed with a full beard. If you have enough persistence to grow a beard long, you can go with a little lengthier top, as the look will still be harmonized. Don’t forget about the beard shape though. You don’t want it to look shaggy and unkempt. 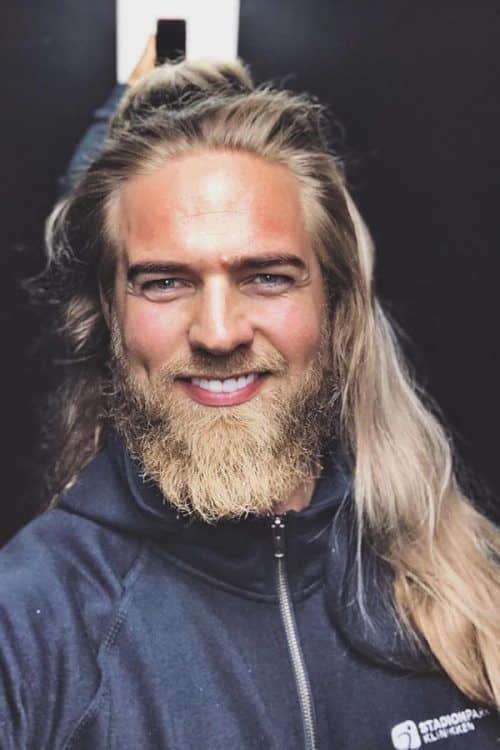 Of course, every rule has exceptions, and you can try to pull off both long hair and beard. 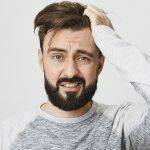 Though, if your locks are really extensive and you’re not ready to say goodbye to them, we really recommend considering a reasonable beard length, say, not lower than your Adam’s apple. Otherwise, your face shape would look out-of-this-world, not in a good sense. 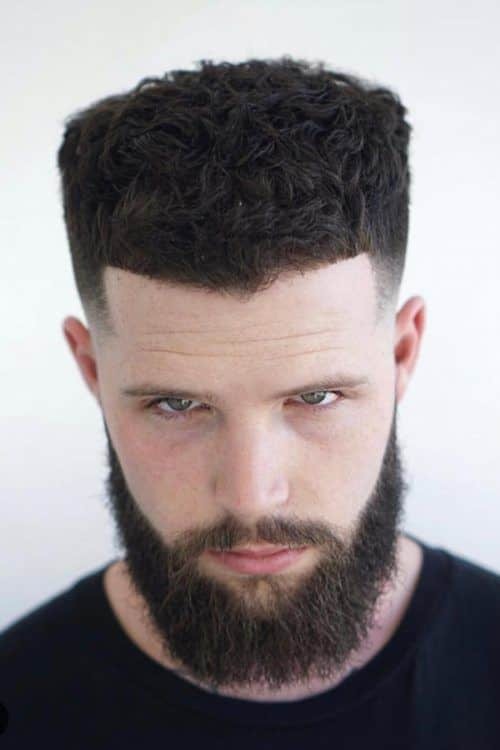 What’s good about a mid length haircut is that it can be rocked with different beard styles. If you want to look stylish and dapper, try out a cropped top with skin faded sides partnered with a full lined-up faded beard. Even such a trendy style as the boxed beard can be totally wasted if your facial hair looks dry and dull. Sometimes, your natural oils can’t withstand urban pollution, so your task is to help them out with a special beard oil, such as jojoba. 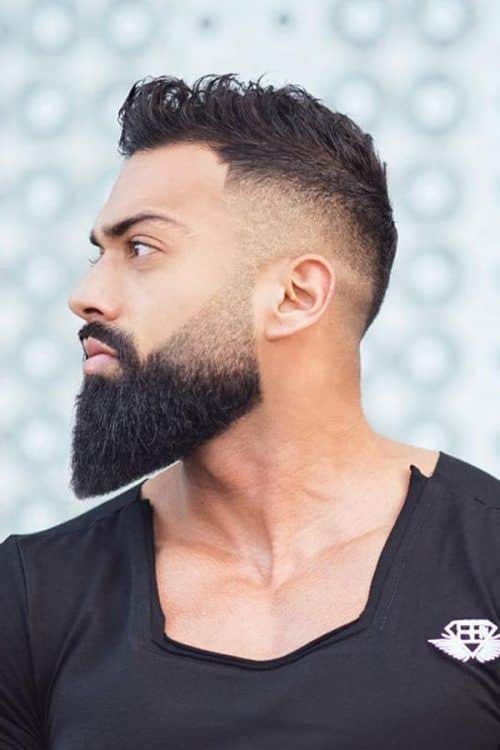 If you’re looking for a really attractive way how to trim a long beard, go with an Arabian faded beard. Thanks to its flawless lines, it defines your face and makes it look more masculine. 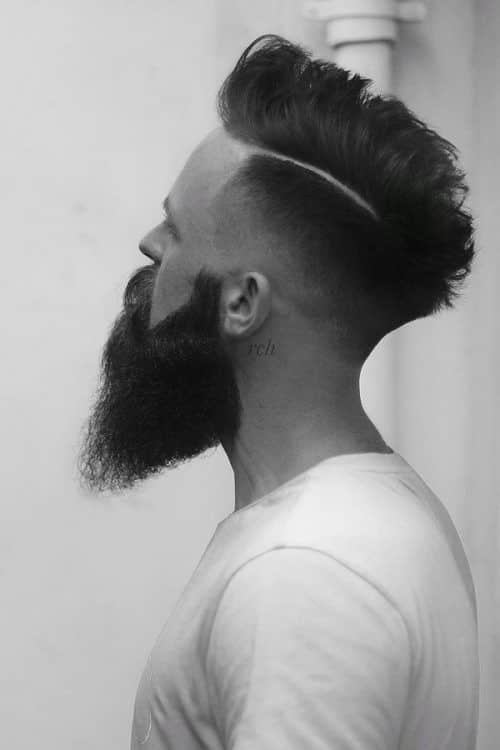 An undercut is also a great partner for a long full beard. It helps to keep the look neat and clean while focusing the whole attention on the facial hair. 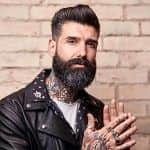 You know how to grow a long thick beard but have no idea what full beard styles suit you? 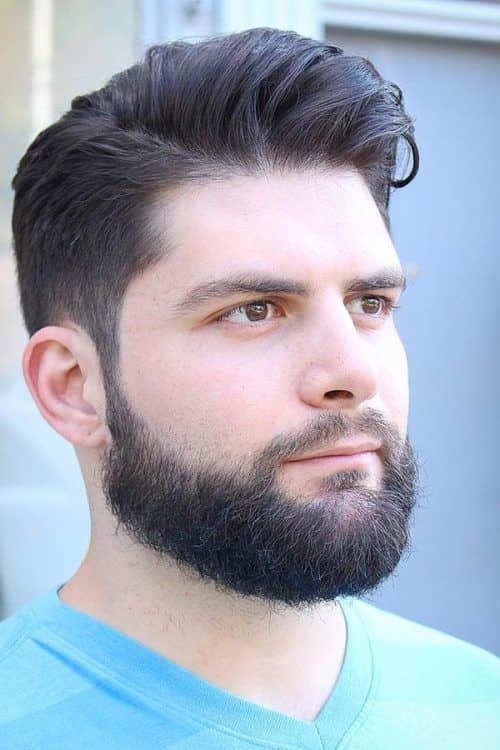 Why don’t you try a casual beard, which looks great almost on anyone and can be combined with basically any hairstyle? 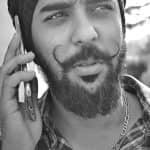 Not to get tired of your facial hair, mix different types of beard with a new mustache style every now and then. As for the hairstyle, don’t stick to the same one for too long too. Remember, variety is the spice of life. It seems like a goatee has never been out of style. At least, we don’t remember such an occasion. 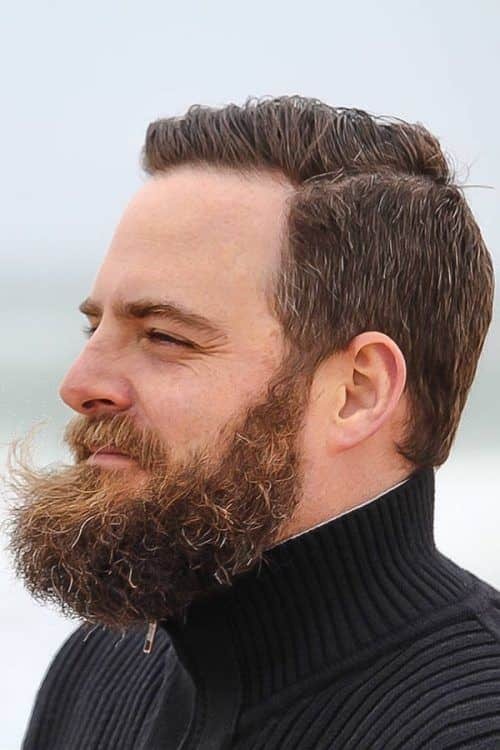 Styling your full beard in this way allows you to kill two beards with one stone. As it combines both short and long layers, you can harness your goat beard with any hair length you like. 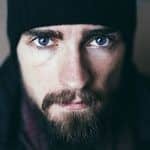 A beard growth may be the answer to those guys who feel discontent with their face shape. By giving your beard a pointy shape, you can make your face look longer and sharper. Such a trim doesn’t require additional enhancement so pair it with something simple, like a textured hair on top. If you want to add virility to your look, go with lined up types of beards. 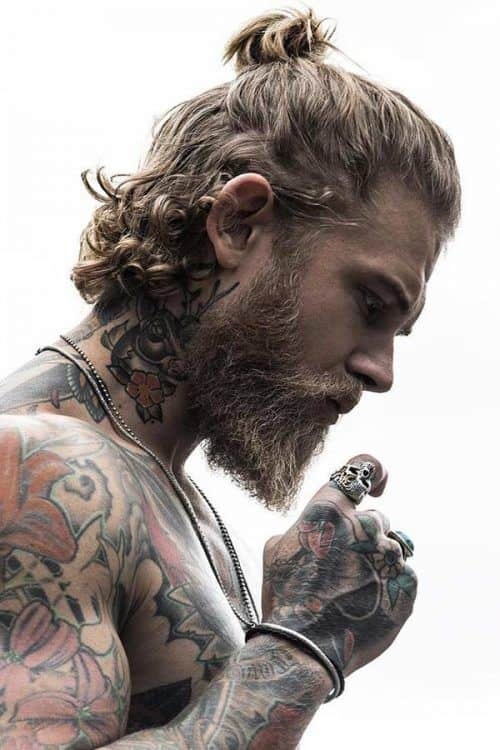 This sharp and edgy style brings in a dose of masculinity to such a seemingly feminish hairstyle as a man bun. Those beardos who’re more after short beards rather than long ones can experiment with the shape and fullness. For instance, a neck beard trimmed in an oval shape looks unusual and attractive, especially matched with a sleek comb over. 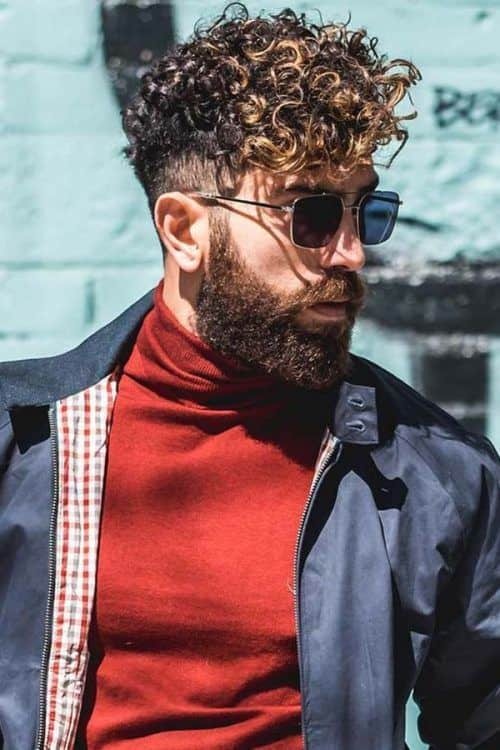 If somewhere deep inside you still consider a full beard a mature style, the faux hawk sported with a full thick beard should leave all your doubts behind. You can make it even more rockabilly by shaving in a hard part. Let us guess, are you already googling how to grow beard fast?